These cubes look pretty boring, don’t they? 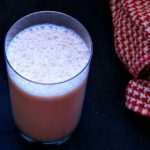 Plain little brown lumps… innocuous, uninteresting, uninspired… And yet, of all the Convenient Foods I use, these are the ones that changed my cooking the most. 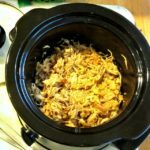 They allow me to make sauces, gravies, and thickened soups, quickly and easily, to pull random foods together into a delicious meal. And they open up for me a world of recipes in which the sauce is an ingredient – macaroni and cheese, croquettes, even souffles are easier if I’m not fussing about the base sauce. They are simply frozen premade roux. Frozen in an ice cube tray, in servings of roughly one tablespoon of flour, enough to make one cup of thin sauce. But I find the freezing itself, as well as preserving the roux, actually makes it easier to use. 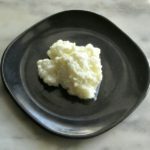 Melt 3/4 cup – that is, a stick and a half, or 12 tablespoons – of butter in a heavy pan, over low heat. Even heat matters, here, so use the best pan you have – cast iron, multi-ply, not something thin and light, if you can help it. If your pan does have hot spots, keep the light very low, and watch it carefully – you want to brown without burning. Then, I find a silicone spatula invaluable. When I was a kid, my mother had a real rubber one that she used for sauces, though she had to be careful of high heat, but when I set up housekeeping, all you could get were plastic, which didn’t stand up to any heat. I was thrilled when the silicone came out! 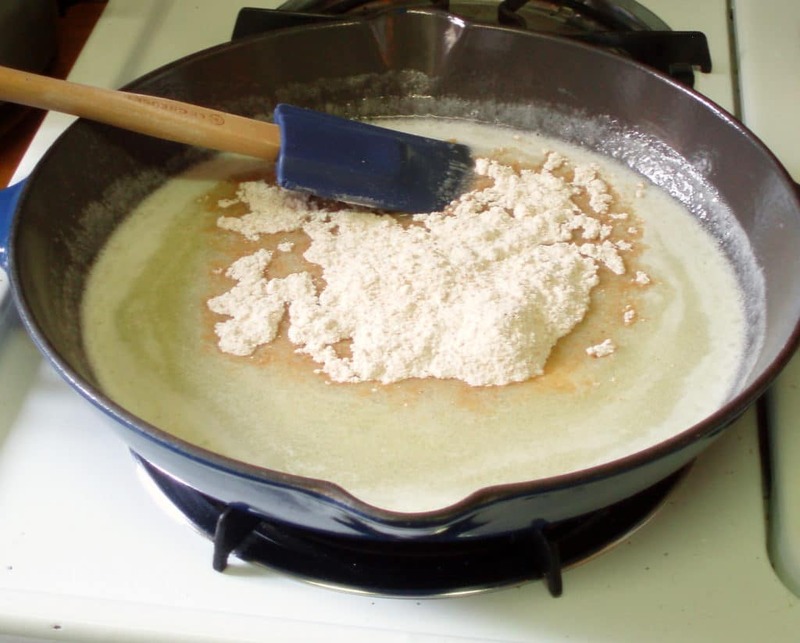 What I do is sort of smear the flour gently into the melted butter… Sprinkle in part of the flour, then work it slowly in with the flat of the spatula, blending it gradually, as you add more flour. 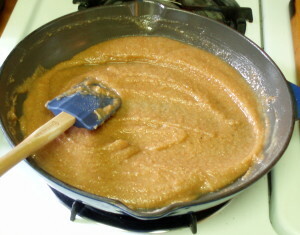 When you finish blending it all in, continue over low heat, stirring and scraping the pan with the spatula. 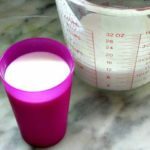 This does take longer than just a tablespoon, but it’s worth it in time saved over the long run. The flour will darken towards a gold color – though that would be more obvious with white flour. Using low heat and an enameled cast iron pan, I gave it 15 minutes, here – I would say 10 is the least you want. The goal is to have all the flour fully cooked, so there is no raw flavor. At the end of that time, turn off the heat, stir a few more times, then let it cool. 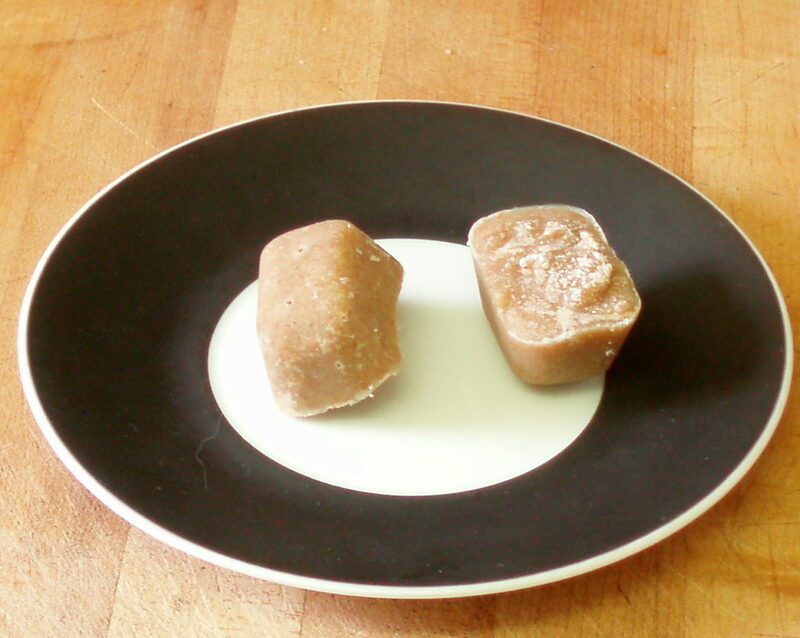 Now – for the cubes… To be precise, you would want 16 cubes, one for each tablespoon of flour. 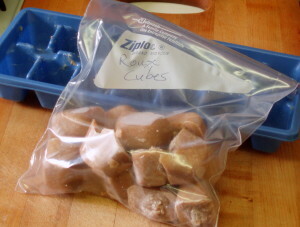 I’m not that precise… The ice cube tray I use for such things happens to make 14 cubes. 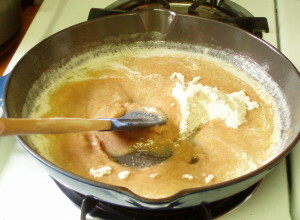 What I usually do is carefully divide almost all of it evenly between them – then, instead of scraping the pan, use the roux left in it for some sauce for the next meal. I figure each cube probably has just a titch more than the tablespoon of flour – but cooking is not that exact a science… a few grams here and there really don’t matter. What you do will depend on your own ice cube tray and comfort level. Then I freeze the tray. 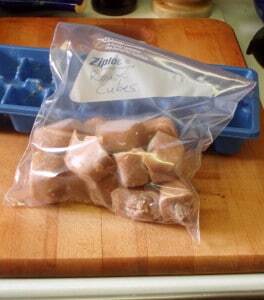 When it is frozen, I pop the cubes out into a labeled zip freezer bag, and put it back in the freezer. 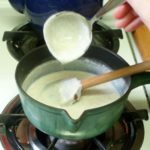 I then, over time, use these for white sauce, and cream soup, and gravy, and cheese sauce, and to thicken soups, and use in a wide variety of recipes, that are now easy and fast. 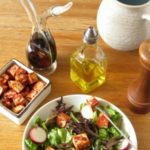 (Nothing like a 5 minute sauce to pull leftovers together…) You can use all or part olive oil if you want something without dairy or need to limit the use of butter – I’ve done that with success. I haven’t tried it with other fats – but want to… Haven’t yet tried other flours, either, though I will. 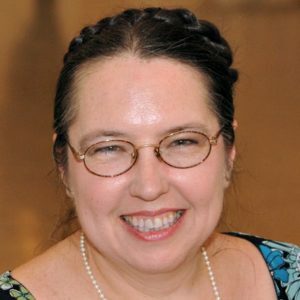 I don’t know what the equivalent amounts are – I understand that can vary for some things. I think the flavors might be interesting, though, as well as it being helpful for someone who doesn’t eat wheat. 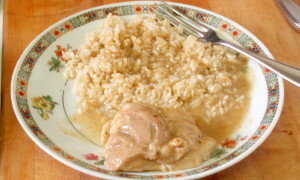 So – I stirred every minute or two, while I heated rice. I ate rice, because I had rice – but this would be great over biscuits, or a microwaved potato, or even just bread… Whatever you like and can put together easily. (Serving the family, an easy no fuss gravy makes fresh biscuits or mashed potatoes more doable.) I returned the meat to the pan for a minute to warm it, then served myself. And, suddenly, chicken gravy for one serving is not insane. 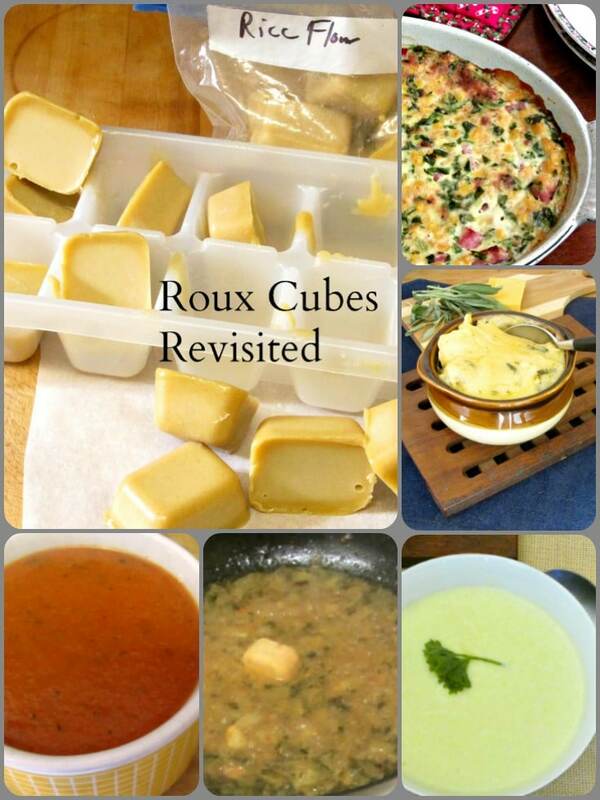 Edited to Add – My newest Gluten Free Roux Cube recipe! 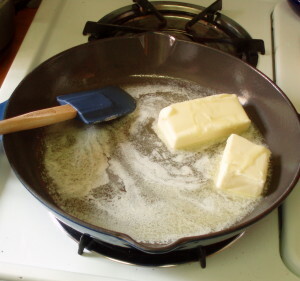 Melt butter in a heavy pan over low heat. Heat the mixture, over low heat, stirring, for 10 - 15 minutes, until the flour is completely cooked and very slightly browned. Let cool. 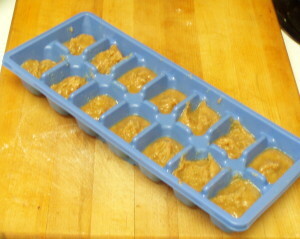 Pour into an ice cube tray, making 14-16 cubes. Freeze. To use, stir into simmering liquid, until it thickens as desired. 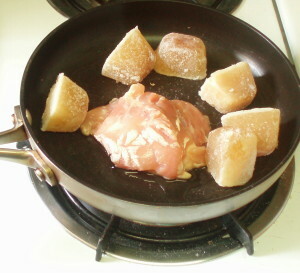 1 cube for a thin sauce, 2 for a thicker one, 3 for a very thick one, used as a base for other foods. Thank you! It saves time - and it really makes it easier. I was surprised by that aspect - I fully expected to keep fighting lumps, just save the initial time - and this was so simple. I have to share it! I make my own Japanese curry roux and I have never attempting to prepare this. 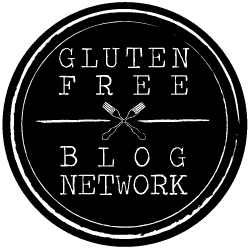 Thanks for sharing with 4 seasons blog hop. Cheers and have a nice day. Cool! 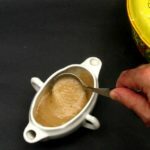 That's something I've considered - I have used the commercial curry roux. May I ask what fat/oil you use? 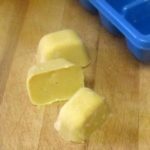 For the cubes to work (I learned...) you need a fat that solidifies in the freezer - butter, olive oil, etc. Canola oil didn't work. I have wondered what my other options might be. I made a bunch of these yesterday -- other than a slight difficulty getting them out of the ice cube tray, they work like a total charm. Excellent idea!